5 Tips on Buying Carpet for Your HomeEliminate The Muda! There are many ways to upgrade the look and feel of your home. One of the best is to rip out that old carpet and replace it with something fresh. Of course, this is easier said than done. Last month, I found out for myself that buying new carpet was not an easy task. 1. Shop around. While this can make things more confusing, in the end you will be glad that you did. Before I made a purchase, I received quotes from three comparable providers. And guess what I found? The first company quoted me at $2,900. The second was more expensive at $3,500. Finally, the last company offered to do the job for $1,950. Since all three offered the same product and service, I decided to go with the cheapest option. 2. Learn as much as you can about the different types of carpeting. 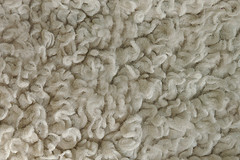 Do you know the difference between plush and berber? Not only are there different materials to choose from, but the quality within each material can greatly differ. Once I chose my material, I had to choose between three “quality levels.” The product at the bottom was priced at $1.50/square foot. The middle option, which is the one I selected, came at a price of $2.90/square foot. Finally, the most expensive, and the one with the highest quality, was priced at $4.00/square foot. Once you’ve chosen the material, you have to consider all your options in terms of quality, and then determine how much you are willing to spend. 3. Don’t forget about the pad. Many people get so caught up on the actual carpet that they overlook the importance of a good pad. Make sure you request an explanation on your padding options including the different types, weight, and life expectancy. Keep in mind that when your pad begins to wear out, you will need to think about getting new carpet. Tip: Don’t opt for the cheapest pad just to save money. You will regret it if you want to keep your carpet for an extended period of time. 4. Miscellaneous services. Will the company you hire move any furniture that is in the way? If so, do they charge for this? Also, don’t overlook the fact that some companies will charge for the removal and “haul away” of your old carpeting. One company that I considered charged extra for removal and haul away. While at first this may seem like a downer to some, I saw it as an opportunity to save money. By choosing that particular provider, the option to remove the carpet myself and save hundreds of dollars was available. The other companies instead included these services as mandatory, but had much higher prices. 5. Does the company employ their own installers, or do they outsource to contractors? This is a very big detail, and one that you don’t want to overlook. You can buy the nicest looking carpet in the world, but if it is installed incorrectly, you are going to be angry in the end. Make sure you get clarification on who will be installing your carpet, as well as what experience they have. Don’t be shy about asking for referrals as well. Also, don’t forget to inspect the job before your installers leave. This way, any problems can be discussed and solved on the spot. Don’t let all these tips scare you away from buying carpet for your home. Even though I put in a lot of work, I was very happy in the end. New carpet is a great upgrade, and one that you should consider if you are in need. Just remember to follow the advice above to ensure the best chance of 100% satisfaction. I’ve definitely paid too much in the past for carpeting (and in most areas I consider myself a good negotiator….this is just a little foreign to me). I’m about to go through the process again in the next couple months for my basement, so I’m glad I read this.